Bravo! Loving how this is unfolding! Is that art of Greenswathe yours? 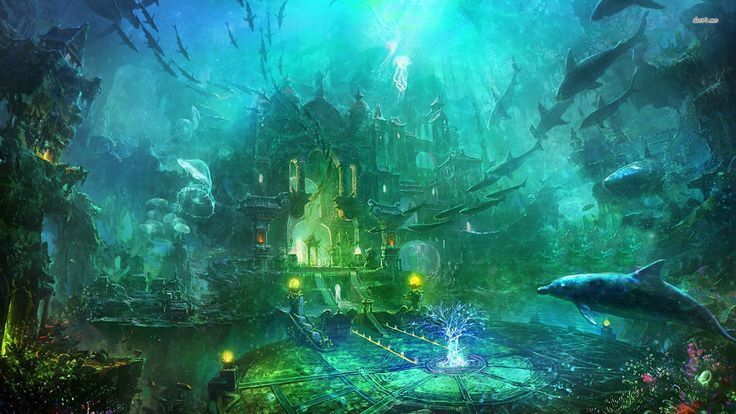 And is Drawmij's underwater abode your creation? 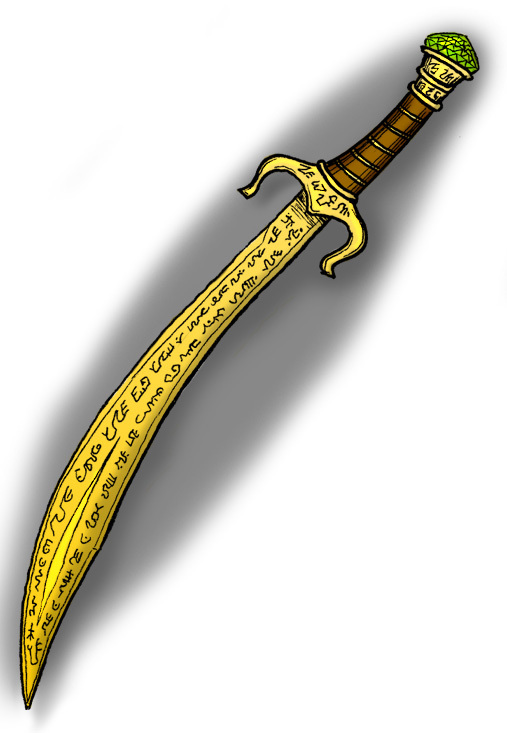 When I ran this series years ago, I kinda thought Greenswathe didn't rightly fit in with other Fruztii-style weapons, forgetting that these were probably forged back during the days of the Suel empire where "Viking" style wasn't a thing. I lliked Greenswathe besides, and now I like it even more! Jason: Greenswathe art mine, yes. The Drawmij pic no, sadly. Didn't have time to go that far. As for Greenswathe, I agree, the scimitar didn't fit the viking-feel. As to whether they were forged pre or post migration that's entirely debatable. I think if you make them ancient Suel it fits better, yup. Your RSS feed appears to be broken. I'm sorry Kerry. Not sure how to fix it?